Don’t retire early! You may be near retirement or in your early thirties! There is always someone who will tell you not o do something. It is usually someone with a bad experience or never did it anyway. I am neither! I retired early and do not regret it. I did not squander my wealth nor did I just sit and do nothing. I am suggesting that it is not for everyone! Okay, you are at the point of breaking free! You accumulated enough money, investments, assets, etc to retire early, what should you do? Clearly, you have been planning this for some time because it takes time to accumulate enough money, etc, but should you? You can celebrate your achievement without leaving your job. You should ask yourself why you are leaving. Hasty decisions usually lead to mistakes. Many people talk about retirement/financial independence as a solution to bad career choices. They hate their job and think retiring is the solution! Similar to the thought of more money will solve their financial problems. No, it will just add to the problems until you solve your spending problem. Avoiding the real issue is similar to running away from your problems! This is a major decision you should not take it lightly! Retiring is a major life decision! It is much more than just a career change. You probably work anywhere from forty (40) to sixty (60) or seventy (70) hours in your career. 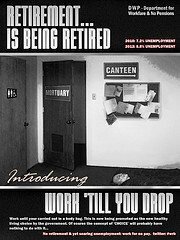 Retirement is full time and involves many more hours than working. Before you make a life changing decision you should try it out or at least consider semi-retirement. How do you make major decisions? Do you spend the time and effort to identify the issues as well as the consequences? The good news is there is no final decision! You can always change or go back to work! Over the years, I have had seven (7) careers and expect to have a few more before I finish. I go through a series of steps that help me evaluate the issues and examine the consequences. Am I always right? The fact that I have had seven (7) careers would indicate I made some mistakes. I do not consider them mistakes, but that may be a completely different story. Identify/clarify problem! – Find the real problem and issue! You are unhappy in your career, what is the problem? Is it the job, company or career? It may one or all of those, but you need to figure it out. Just leaving or starting a business may not solve the problem. Changing jobs or career is a major decision and you need to spend the time to figure out what will make you happier. If you could change or fix the problem, would you be happier? Find the cause and separate the symptoms to find the real problem. Start with defining the problem. Gather information – Gathering information is much easier than you think. You can start with the internet and use government websites such as the Bureau of Labor Statistics (www.bls.gov), self assessment tests, make a list, investigate the top three or five choices, talk to people performing the job/career and job shadow. Firsthand information is the best information to help you make a decision. When I thought about teaching, I spent a day to observe a teacher and then tried out the career as a substitute. It provided firsthand information to make a better decision. Identify alternatives – There is never just one solution! Usually, there are at least several solutions to every problem. You could stay (no change) , make changes in your role or within your company, leave your company, return to school for more training or pursue a variety of new careers. Start with all of your choices and reduce it to your best three choices for the best outcome. Reducing your choices requires evaluating your alternatives. Spend enough time to create enough good choices that you feel comfortable picking one or several to explore further. Make the decision – Before you can make a good decision, you had to go through all the prior steps. Remember, this takes time or you risk going through this over gain. You should performed enough research to learn enough about each choice before you can make a good decision. It all starts with defining the problem properly otherwise you can never make a good decision. Before you make your decision, you should consider your expectations. Quantify your outcome or goal so you can measure your success! Clear expectations and goals will lead to better decisions and outcomes. Evaluate the decision – You made your decision, now what? This is when you evaluate your decision. You may not be able to evaluate it for a year or two, but do it. We learn more from our mistakes than our successes, but we still learn no matter what. You have to reflect and evaluate! Would another choice been better or can you adjust your decision to make it better. No decision is ever final. Evaluation does not stop there. You should continue monitoring your progress and decision to evaluate your progress and success or failure. Remember, success is measured by reaching your goal. SMART goals help you create measurable goals. Too many people do things for all the wrong reasons! All you have to do is look around at all the things you accumulated! It may be the expensive cars, home, clothes or other things you did not really need, but wanted. When you make a major change you want to examine the real reasons for the change or you will find yourself in the same situation again. I outlined the steps for all decision making and it should help you evaluate the real problem. Most people spend very little time on their career choice! They major in a subject they enjoy without knowing enough about the career they may eventually pursue. When you think about a career choice we often think about the stereotypical job and duties and leave out all the details of things you either do not know or find boring. When I was a CFO, I loved planning, budgeting and strategic thinking. I never saw myself as an accountant, but that was part of my role too. Accounting is recording history and I viewed my role as making a difference in monthly or annual results. I was fortunate that I had an excellent Controller who supported me with his accounting expertise. An important part of my decision process was finding a situation where I could use my skills and interests to achieve the best possible results. Don’t retire early, you may just need to make a change! This is something that I’ve talked about with my dad a few times. It drives him crazy when reading an article on early retirement or budgeting in retirement and people act like you can never work again after you retire from your career. Life is all about options and thats the reason for saving a big pile of money, to have options! It is crazy that so many of us plan for a lot of things in our lives but spend very little time planning our career(s). Most people will spend more time working than they will in retirement, many people plan very little of both. Retiring early requires more than just accumulating enough cash, assets or income! I don’t necessarily plan to retire early, but I do want to reach financial independence so that we have more options. And hopefully I will learn more about what I want to do with myself along the way! Financial independence is always a great goal, but it doesn’t mean retirement. I am able to do the work I enjoy versus what I have to do. As a CFO, I made a lot of money, but it was stressful with long hours. At the time, I enjoyed it, but it is much better since I reached financial independence. I’m with Holly. I don’t want to retire early exactly, but I would like to be comfortable enough in my 30s to where I am financial independent. The work world has changed significantly! It used to be when you reached a certain level, there was some security. That is no longer true! Financial independence alows you to call your own shots. What is your plans for your future after independence? It is all about choices! I know a number of people who have more money than they could ever spend and they keep working I want to keep active forever! It keeps me alive. Early retirement is good as long as you prepared yourself for it, meaning you should be financially and emotionally ready. Your reason for early retirement should be purely because of your desire and willingness to do it and not because you’re getting tired of everything that’s going on in your career. I agree! If your decision to retire early is to run from something, you will run again and again. I used to plan to retire early, but I now love my work and don’t see myself retiring fully ever. Financial freedom to have the choice is great. Love your tips on making a decision too. My partner never plans on retiring. He is a workaholic through and through. He’s always worked high pressure, high risk jobs and thrives on it. He likes a break, going camping but doesn’t picture retirement at all, despite being significantly closer to typical retirement age than I am. The goal should always be finding a career you enjoy! Retiring early is never a solution for a crappy job. I happen to agree with the comment above. While I might not be focused on early retirement, as I love my work, I do want financial independence. It has been an uphill battle but I feel certain I can get there within two years. Good for you! Financial independence is much better than early retirement because it opens up many more choices. You work because you enjoy what you are doing.